You may have noticed some funny hashtag on my personal Facebook page or Twitter or Instagram recently... I have decided to join the Photo a Day Challenge by Fat Mum Slim this month. 4. What you read - Currently laying on my bedside table... but I am much too tired to read in the evening! 7. Light - Outside on my porch at night, an Ikea lantern. 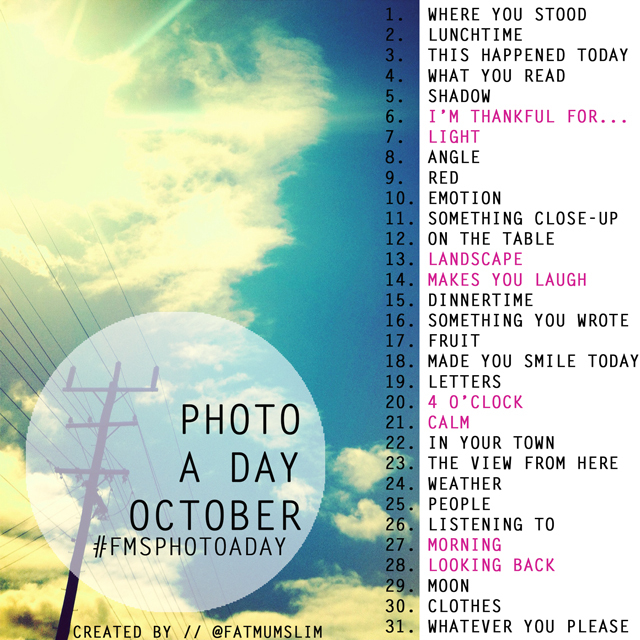 I am looking forward to the upcoming prompts - especially day 28 Looking Back. Will you join me next month?